At Campsite Les Etangs in Lantic (Côtes-d'Armor) camping costs as little as €14,- per night during low season with CampingCard ACSI. At one of the 65 touring pitches you will get a discounted rate during the period 01-04-2019 - 30-06-2019 and 01-09-2019 - 30-09-2019. At this campsite you can not only use your CampingCard ACSI for inexpensive camping, you can also use your ACSI Club ID (as an alternative ID). An attractive, peaceful campsite in lovely countryside. Swimming pool. Pitches are sometimes separated by bushes or marked out by trees. Poplars and fruit trees give adequate shade. Free wifi. A little gem! Very friendly, helpful owners. Owned by a family and we felt part of the family. A smaller, personal feel, felt really welcome, nothing too much trouble. Lovely bar, great pizzas and very friendly, cheerful barman. 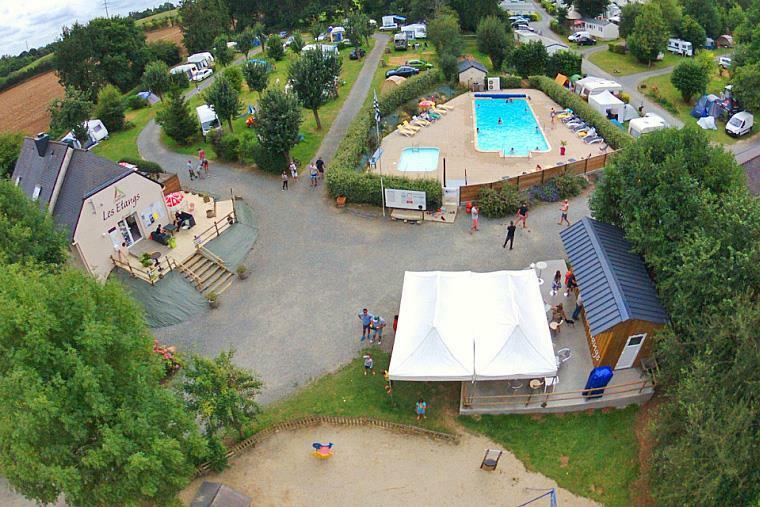 Would you like to book Campsite Les Etangs or request more information? You can do both using the information below. D786, left in Binic direction Lantic. After 3 km right at quarry. At crossroads turn left. Then D4 Le Pont de la Motte where the entrance is. Campsite is well signposted in Binic. CampingCard ACSI will send your information request to "Campsite Les Etangs".